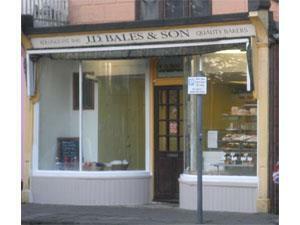 J D Bales, Great Yarmouth, is a long established local bakery in the town centre selling a range of delicious baked goods. Orders taken for wedding cakes. On arrival in Great Yarmouth proceed straight ahead at the Fuller's Hill roundabout, taking the next turning on the left onto Northgate Street. J D Bales is located on the left hand side. Parking is available very close by.